Now this is a major bonus. 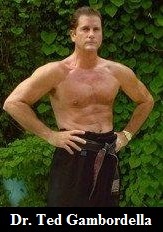 Dr. Ted’s is close personal friends with Martial Arts Legend Troy Dorsey. The Only man to hold a World Boxing Title and World Kick Boxing Title at the Same Time. Master Dorsey teaches the Secrets of Kick Boxing. Everything you need to know to Win the Stand Up Fight.